Well, since I have no working machine (okay, okay, I do, but it’s plastic and cheap and I loathe it), I spent some more quality time with my favorite little ladies, and made an awesome dinner. From leftovers! 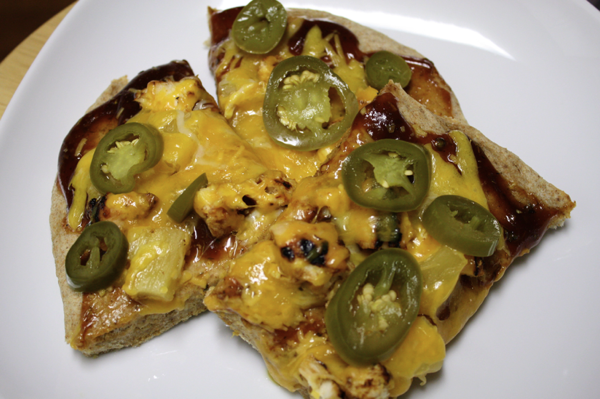 This is a twist on the Grilled Pineapple and Chicken Quesadillas The Pioneer Woman posted last week. Don’t worry, I made those, too! 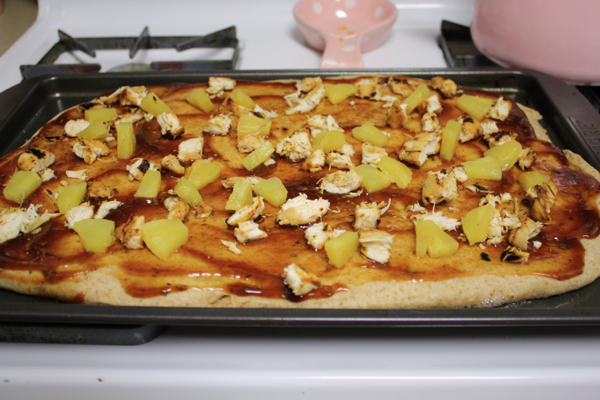 But I used canned pineapple and didn’t grill it. I had some leftovers and needed to clean out the fridge, so this idea immediately popped in my mind. I used my favorite whole wheat dough recipe for the crust. 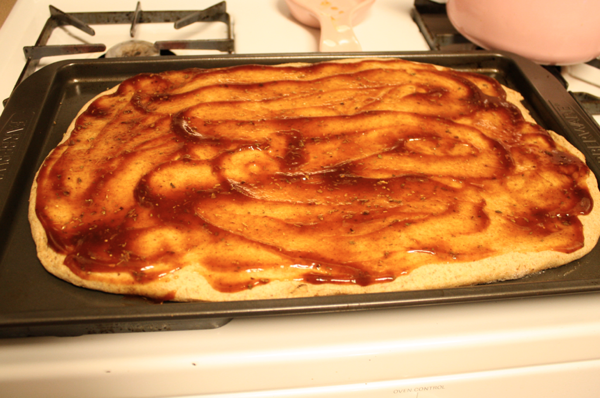 I just made 1 pizza, so I spread the whole thing out on a greased cookie sheet. 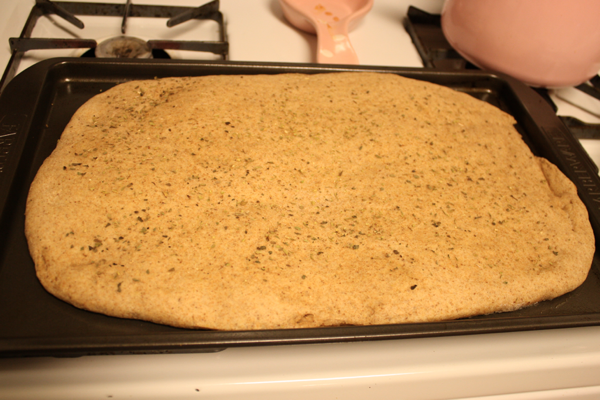 I sprinkled it with garlic powder, oregano and basil before popping it in the oven for 5-7 minutes. 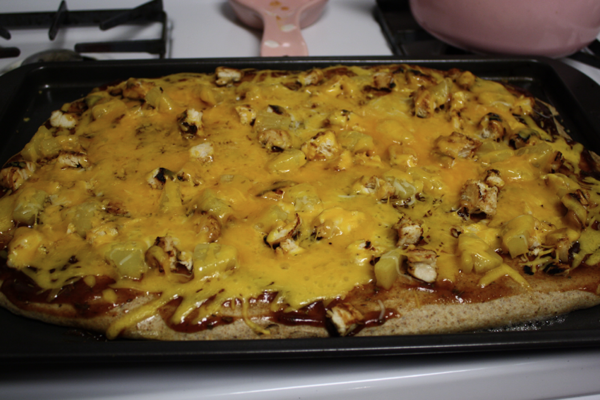 Instead of your traditional marinara sauce, I spread barbecue sauce all over my crust. 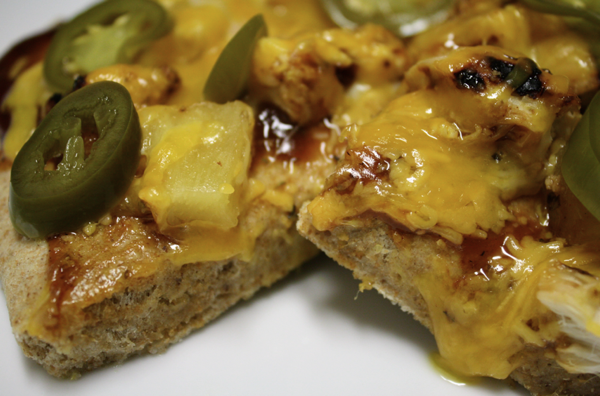 I had leftover oven-roasted chicken I diced and spread all over the top, along with the rest of my canned pineapple. Then I cleaned out the cheese drawer on top. I had a little Monterrey Jack & Colby that went down first, then some mild cheddar, then topped with sharp cheddar. The whole thing went back in the oven for 8-10 more minutes. 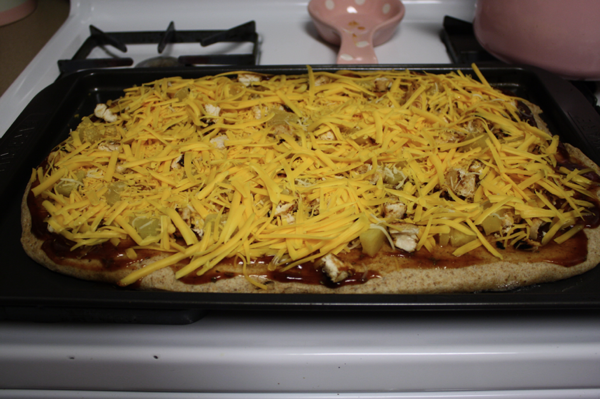 Because everything was already cooked, I just let the cheese melt and the whole thing get warm. And that’s it! 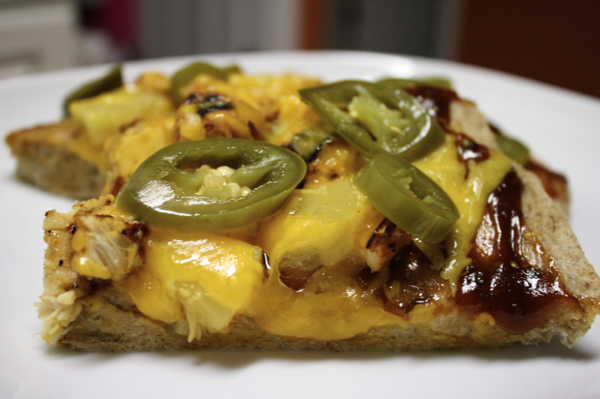 The Hubs loves his with some heat, so I topped it with jalapenos. Yum! Perfect leftover comfort food! And it’s relatively healthy! your pizza dough looks so soft and perfect!